Solomon’s Mines is a thrilling, rich in terms of gameplay slot game with an intriguing theme and plenty of opportunities for players to ensure their financial stability after a single successful game. 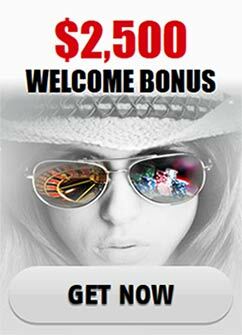 Within the brightly lit entrance of the mine that is depicted in the background of the main screen, you will find 25 paylines, 5 reels, numerous profitable symbols and spectacular additional bonus games. The slot’s symbols pay from left to right except for the scatter symbol, which works everywhere. Within the mines, players will find a fruitful collection of symbols, which will work on their own and together in order to increase your total earnings. The wild symbol is a screaming woman, named Penelope. She will make an appearance on the second, the third and the fourth reel. The wild Penelope has the ability to replace the rest of the symbols in the game in order to replace them in possible winning combinations. The only symbol that can’t be replaced is the scatter. Every combination that gets finished through the help of the wild symbol provide a double payout. The scatter symbol is the Green Book. If you land at least two books on the reels, a reward will be given. If a minimum number of three scatters are acquired, the bonus round will be initiated. Gamblers will also recognize the common card symbols which start from 9 and go as high as the Ace and they will also grant payments. After the bonus round has been activated the players will be presented with a new screen and in it they will see two green vases and a new prize scale, which is exclusive for this bonus game. You will have to choose one of the two vases and you will be granted an award, regardless of the choice. Each vase hides a certain gem and the bonus award table clearly shows how much each particular type of gem is worth. This bonus round will last for as long as the player keeps finding a precious stone after making a selection. The bonus game is over when the chosen vase appears to be hiding nothing so in truth, you might as well keep winning over and over again and you can also be certain that the chances aren’t fifty-fifty, it is perfectly reasonable to assume that the first several couples of vases will both contain a symbol and as the level goes on, the chances for finding nothing will grow. Solomon’s Mines hide a lot of pleasant surprises and the wide variety of the gameplay will keep players thoroughly entertained.